The British housing market is out of control. Many have called for the Bank of England to respond with a rate increase. It’s not that simple. London is not the UK, and the foreign funds which are supporting the capital’s bubble may fade away. CrossBorder Capital, an advisory firm specialising in cross-border flows, estimates that 13 billion pounds of foreign capital flowed into the UK in April – eight times the amount in April 2013. By way of comparison, the UK’s near record current account deficit for the last full year was 71 billion pounds. The appeal of the UK helps push up the pound, despite the trade data. A significant part of the imported funds comes from Russia, which exported 6 billion pounds worth of liquid capital in April – much of it to the UK. London has long welcomed flight capital, and its owners. Rich Russians mistrust their own government. They are voting with their bank accounts. For the millionaires and billionaires involved, the price of London property is irrelevant. A friendly legal system, secure property rights, and a liquid market are what matter most. In its informal role as guardian of the nation’s financial system, the Bank of England might have something to say about the UK’s warm and often low-tax welcome for funds of doubtful provenance. As interest rate setters, the central bank should realise that the Russian problem isn’t its own. Rates have almost no effect on foreign cash buyers of London property, whereas higher borrowing costs affect the whole nation. The national housing market does not obviously need to be checked. 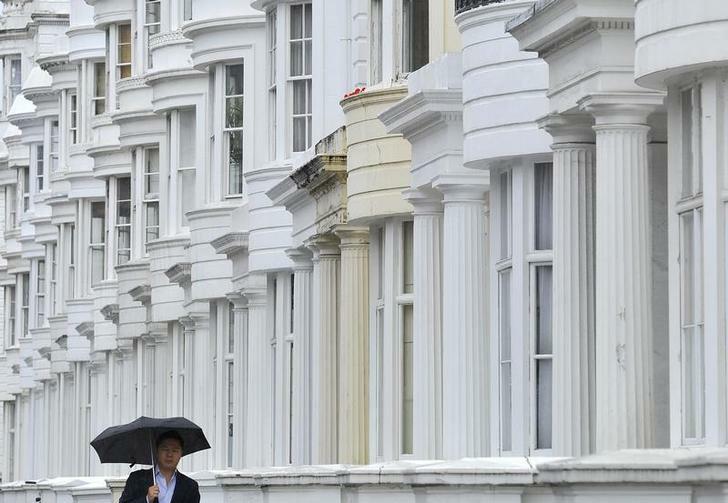 Even after last year’s 8 percent gain, prices outside of London are 8-20 percent lower than the 2007 peak, according to Halifax. Russian capital flight cannot keep increasing at the recent rapid rate. As those flows stabilise or shrink, the London bubble could well deflate, and the pound fall back. The BoE’s Monetary Policy Committee should not confuse a distortion with a trend. The minutes of the Bank of England’s May Monetary Policy Committee meeting, released on May 21, suggested some members of the MPC may be beginning to lean towards a rise in interest rates. “For some members, the monetary policy decision was becoming more balanced,” the minutes said. Capital flight from Russia accelerated in April to an annualised $122 billion as the crisis in Ukraine intensified, according to data compiled by CrossBorder Capital. Total money flows into the UK in April stood at an annualised $270 billion, compared with an annualised $35 billion during the same month in 2013. Russia saw an annualised $86 billion inflow in April 2013.